For a late-season plum that holds up in storage all fall and that you can enjoy in a variety of ways, from fresh to canned, try growing Wallis’s Wonder plums. This delightful plum has a fun flavor to match its cheerful name, and home gardeners won’t regret adding it to their backyard orchards. The Wallis’s Wonder plum variety originates from England, the Cambridgeshire region. It was intentionally created by Eric Wallis and his son John in 1960. The fruit growers working at Heath Farm crossed a Victoria plum with a Severn Cross plum. The result was a fruit that ripened later than most other plums and that stored well for a month or two. Wallis’s Wonder plums are juice and have a high-quality, tasty flavor. They are medium to large in size and have a deep purple skin. The flesh is yellow, soft, and juicy. Wallis’s plums can be enjoyed fresh, right off the tree, but they also do well in baked goods, jams and preserves, and when canned. 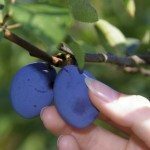 Growing a Wallis’s Wonder plum tree is fairly easy for the novice fruit grower. 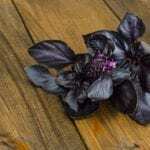 Unlike its forebears, it has decent resistance to disease, so you can mostly grow it without worrying about tree health. Provide your new plum tree with a sunny spot. If your soil is not very fertile, add organic matter and compost to provide more nutrients. Make sure the location will drain well and that your tree won’t be standing in water. In the first season. water the tree regularly to help it establish deep, healthy roots. Start pruning in the first year too in order to create the right shape with a central leader. After the first year, you should only need to water the tree when you have drought conditions and pruning should be done once a year. You can use fertilizer once or twice a year, but it is not necessary if you have good, fertile soil. Your delicious Wallis plums will be ready to harvest late in the season, around mid- to late September. You can eat them fresh, use them for baking, cooking, and canning, or you can store them in a cool, dry place through about the end of October or potentially even longer.